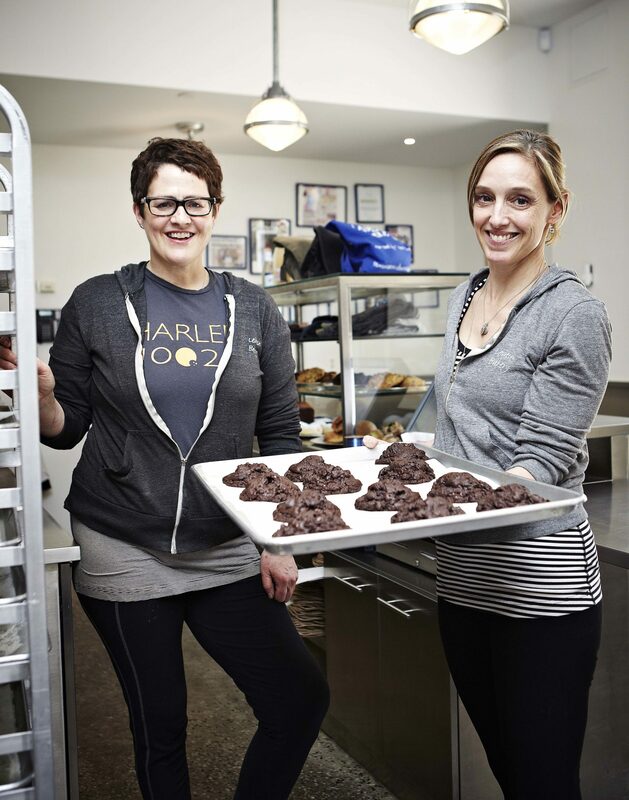 On today’s episode of All in the Industry®, host Shari Bayer’s guests are Connie McDonald and Pam Weekes, founders of Levain Bakery based in NYC, known for its world famous cookies. Connie, a dedicated triathelete, has always had a passion for cooking (particularly Italian). But she discovered her passion for baking only in 1993 after she gave up her career in Investment Banking to enroll at Peter Kump’s New York Cooking School. Now, after more than a decade as a professional baker, she still enjoys baking bread that is as beautiful to look at as it is to taste. Pam has never forgotten the wholesome, homemade bread and treats of her childhood on the North Shore of Long Island. It’s not just a tremendous fondness for desserts that runs in her family, but also the joy of baking them and sharing with the ones you love. Like Connie, she is also a competitive athlete and, before the two met and came together to start Levain Bakery, she worked for legendary fashion designer Norma Kamali.Today’s show also features Shari’s PR tip, Speed Round, Industry News discussion, and Solo Dining experience at Odette in Singapore. Listen at Heritage Radio Network; subscribe/rate/review our show at iTunes, Stitcher or Spotify. Follow us @allindustry. Thanks for being a part of All in the Industry®! Photo courtesy of Melissa Kirschenheiter.